Learn more about what it takes to get dental implants in Glenview, IL. Before you decide on any kind of dental procedure it’s important that you understand more about it so that you know whether it’s right for you. Find out why so many people choose dental implants from our Glenview, IL dentists. A. The implant itself is a small metal post that is usually made from titanium, since this type of metal is biocompatible. The implant is placed into the jawbone where it functions like natural tooth roots and actually fuses together with bone and tissue to become a permanent foundation for a restoration like a dental crown. A. Getting implants typically requires two surgeries spaced out over the course of a couple months. Surgeries will be performed under local anesthesia, so you won’t feel anything during your procedure. During the first procedure we will place your implant into the jawbone. 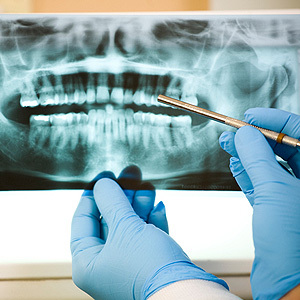 Once your mouth has healed and the implant has melded together with the bone, the next surgery will require us to open the gums back up to place a connecting structure on top of the implant. This structure, known as an abutment, will help to connect the implant to the restoration. A few weeks later you will come back in to have a dental crown cemented over the implant. Q. How long will it take to get dental implants in Glenview? A. There are many factors that will determine the length of your treatment, from the number of implants you are getting to the location of your implants. It will usually take less than an hour to place the implant into the bone, but it can take up to eight months or more for the entire treatment. A. Dental implants are the only tooth replacement that actually fuses together with natural tissue and bone, making them last a long time. While the longevity of your implants is based on how well you care for your smile, implants are designed to last the rest of your life. Let the dental experts in Glenview, IL give you a smile you can be proud of. Call Colonial Dental Group today to schedule your initial consultation. Let’s find out if implants are right for you.